Where is the America folks like Mark Wills know? It’s been nine years already since Mark Wills had his biggest hit with 19 Somethin’ . The song was a huge number one country song that year. The track looked back on the life people in Mark’s era led all the way up the present. There were the ’70s with the toys, the sideburns, and muscle cars. There were the ’80s with Pac Man and video games. Now has a new single and he’s wondering where that America has gone. Looking For America is the new song. With all the recent turmoil in the middle class since the recession hit in 2008 this song rings true for many folks out there. Jobs are disappearing. Finances are tight and lives have been changed. Things that were promised to us in the past now seem like impossible, cruel dreams. 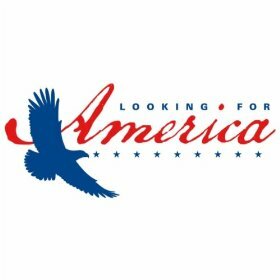 Looking For America has the plea of a man that wants some stability and security for his family. Yet as Looking For America takes on a somber tone throughout it makes up for it at the end I think. There is a bit of optimism when Mark calls on everyone to find the America we all want to see in the future. There is no doubt America has changed in the last few years, but maybe it’s not all a bad change. There are still things that make life worth living. There is a strong spirit still living in America. It’s just our job to make sure that spirit shines strong. What do you think of Mark’s new single?